I haven't done a Wanderings post in awhile. I guess I have just been too busy at home, but today David and I decided to go wandering off to the Fuller Craft Museum in Brockton, MA. I have posted about this museum before and recently, I noted someplace online that they were having a folded paper show. You know what I have been posting about recently! The drive is about 1 1/2 hours each way but today's jaunt was worth it. 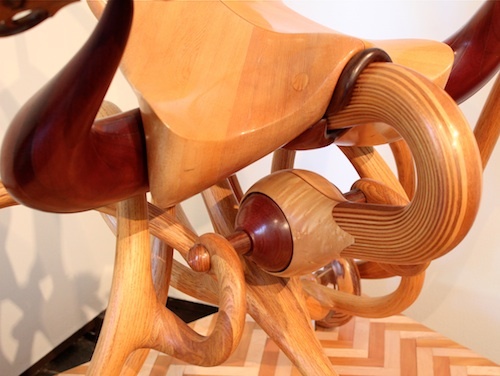 The main show is an exhibit of work by Michael Cooper organized by the San Francisco Museum of Craft and Design. 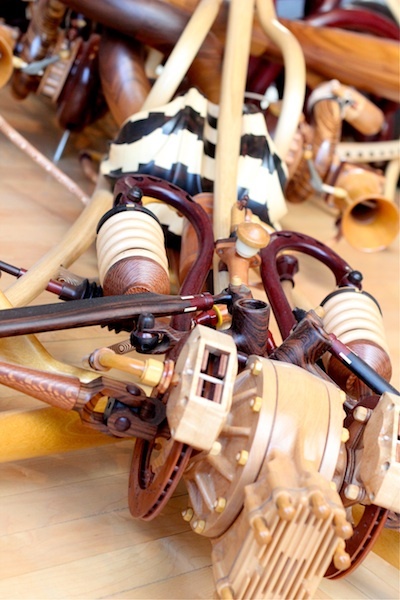 The work is a spectacular combination of mixed media but especially wood combined with a love of machines and incredible craftsmanship. My photos don't do justice to the incredibly complex sculptures. 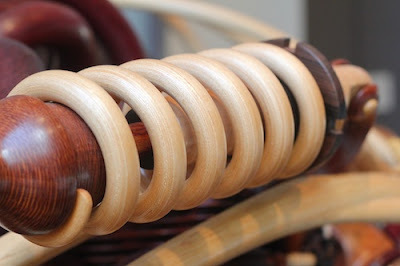 I would love to get a spring made of wood! 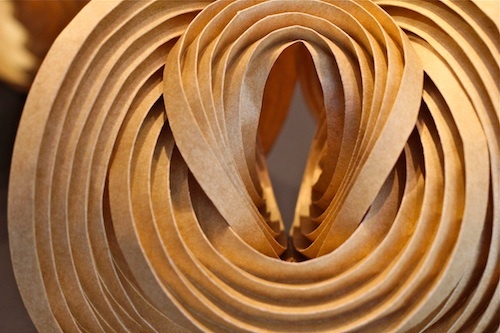 The MIT show combined math with paper folding and it included a collection of abstract geometric structures that must have taken days to create. 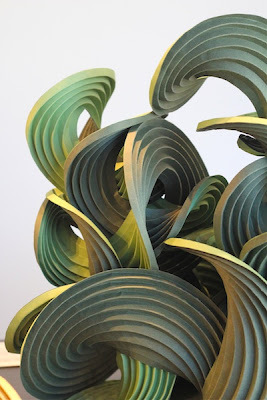 I was especially excited by the curved-creased sculptures of Erik and Martin Demaine. 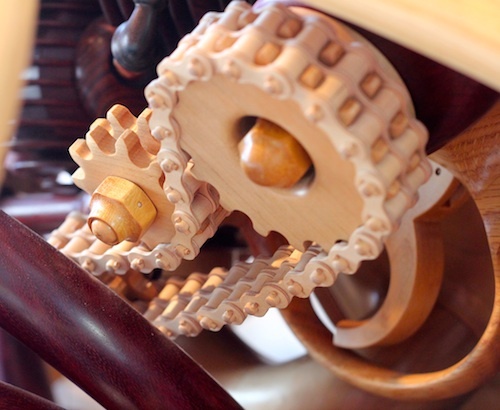 The works were precise yet organic. 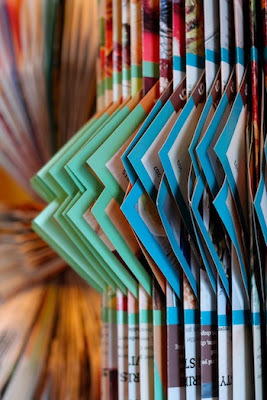 The third show at the museum that will be providing inspiration to me was the folded paper cookbooks by Deena Schnitman. I have been experimenting with folded books and hadn't considered the impact colored pages would have, especilly books were the color is used as index corners. 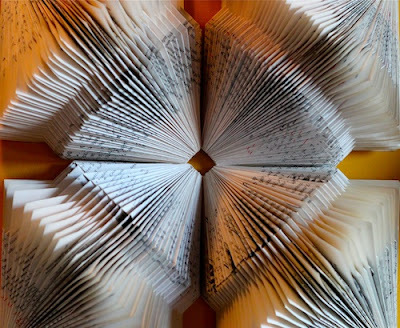 Quick visits to small museums, craft galleries, sculpture parks, and art openings all combine to provide exposure to creativity. And creativity breeds creativity. If you haven't gone wandering recently, you should!